Glenn Maxwell wouldn’t be happy with the performance of his side in the last game against Brisbane Heat. His bowlers were all over the place defending a total of 158 and lost the game by the end of the 10th over. Their bowling was literally slaughtered by the opposition. This has made the upcoming game a virtual qualification for the team. If they win they will go into the semi-final or it is the end of the road for them this season. Maxwell would want his side to put the defeat in the last game behind and win the next game and make it to the final. Marcus Stoinis played a great knock in the last game his opening partner Ben Dunk has also been among the runs this season and they would look forward to giving good start to the side. The middle order also has some great players in Peter Handscomb and Nic Maddinson apart from skipper Maxwell himself and Dwayne Bravo late in the batting order only makes it very strong. It is their bowlers who need to deliver in the next game after the pounding they took in the last match. Daniel Worrall, Jackson Bird and Adam Zampa will need to fire in the next game but it would be interesting to see how Sandeep Lamichhane bowls as he might hold the key to success. Moises Henriques’ side has already made it to the semifinals and goes into this game riding on a string of great performances. 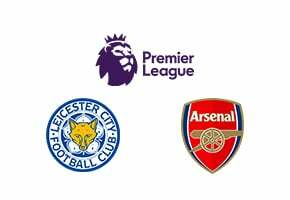 They have won the last four games which will definitely make the side confident about their prospects in the next game. But the skipper would also recall the defeat they had suffered in the last game against the Stars earlier in the season. He would expect the Stars to come hard at them given that it is a must win game for the side. Henriques would like his team to maintain the moment and go into the business end of the season on a winning note. Josh Philippe and Daniel Hughes make a strong opening pair and they have done well in the last few games and will approach the game with confidence. They have good players in the middle order that includes the skipper Moises Henriques, Jack Edwards, Jordan Silk and Tom Curran. These players have done well in the last few games which will give great confidence to the side. Their bowlers are also doing well with Tom Curran and Ben Dwarshuis looking in good form. Sean Abbot and Steve O’Keefe add strength to the bowling attack and they would start confidently in the next game. The league stage of Big Bash League 2019 is all set to end with the final game between Melbourne Stars and Sydney Sixers. 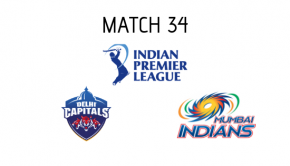 This match assumes great significance for the Melbourne Stars as a win in this game would take them to the semi-finals and loss would end their season with the next game. As for Sydney Sixers they have already made it to the semifinals and it would be a good times to try out few experiments before the big game if they want to do so. It will surely be a packed house at Melbourne Cricket Ground cheering for the home side and the stage is perfect set for a thrilling contest. It is a must-win game for Melbourne Stars and they will be playing at home which should make them favorites to win this game.